Do I need to say more? Nashville is drenched with these. The month of January is flooded with musical acts such as Grand Ole Opry, Music City Roots, David Rawlings, Weirdos in Nashville, Los Lobos, Like Combs and even Lana Del Ray. 2.Visit the Country Music Hall of Fame and Museum. Learn about the deep-rooted history of country music and enjoy a stroll through the largest music museum in the world. It also features restaurants and shopping. Full day adventures await you here. 3.Do you thrive off music? Well then you must tour Music Row which includes not only record label offices but also radio stations and recording studios. Did you know that Elvis Presley recorded more than 200 songs here?? 4.Strut your stuff on Honky Tonk Highway. This street is lined with bars full of all genres of music. Music fills the streets from around 10PM to 3AM. Here is the list of bars that let you in free of charge but don’t forget the tips! 5. Eat up at a food festival! Nashville is not only known for music but also for delicious food. The Chili Festival will be making headlines in February, so if you are in the area around this time, stop by and enter in the pepper eating contest! All money raised will benefit Community Shares. You’re basically eating for a cause! Can’t go wrong there. 6. Sip some wine at the Ultimate Wine and Food weekend. This will also be taking place in February. The event will have many combinations from the Celebrity Chefs and California Vintners. 9. Craft beer anyone?? You will for sure find it here. Don’t miss out on the wide selection of breweries at your fingertips. 10. Get schooled! This area is full of history and knowledge…but this doesn’t have to be boring. Jack Daniels distillery is just one point of interest here. Don’t have enough time to see and do all of these things because your chore list is 5 pages long? Let Maid Cleaning Nashville take care of it while you have a fun time! 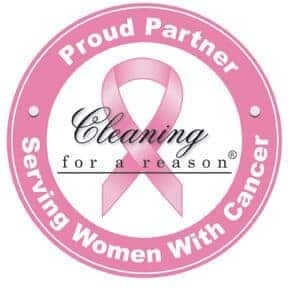 Call us (615) 290-5566 or visit our website https://www.maidcleaningnashville.com. We are here for you!